This article originally published at veteranstoday.com. 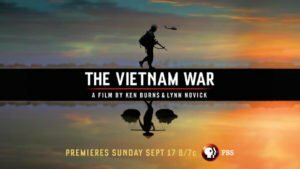 What follows is a compilation from various sources as well as eye-witness accounts from friends, of what occurred during the days just prior to and the day of, The Fall of Saigon. My comments and opinions are inserted as well. On April 30th, 2010, we commemorate two extraordinary events in United States as well as World history. The first marks the capture of Saigon, then the capital of South Vietnam, by the North Vietnamese Army. The end of the Vietnam War was realized and the transition leading to the reunification of Vietnam had begun. The second, a purported humanitarian undertaking – one which quickly ended in tragedy and proved once again that the United States is wrong in trying to influence its own power under the guise of humanity. The final days of the Fall of Saigon began when the North Vietnamese forces commenced their final attack on April 29th, 1975. Heavy artillery bombardment ensued for most of that day and night. On April 30th, North Vietnamese Troops had occupied most strategic points of the city and finally overtook the South Vietnamese presidential palace. In spite of various allied intelligence reports, including those from our own CIA that stated South Vietnam could not be taken by the North through the current dry season and well into 1976, the city had indeed fallen. These reports were being sent to our Commander In Chief, Joint Chiefs of Staff, and General Ranked Command Officers as recently as March 5th. The strategy of the allied warring commanders was based on those reports. The eventual fall of a Nation was based on those reports. 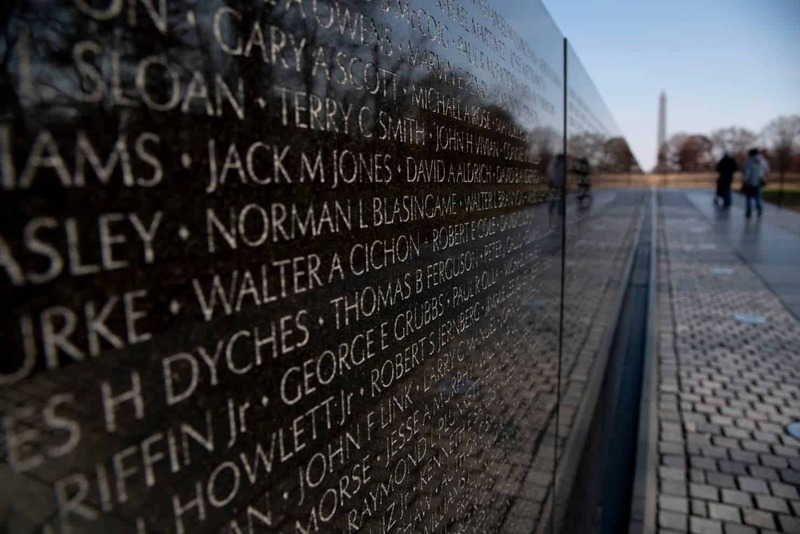 The United States and South Vietnam were defeated less than 60 days later – one would argue, the intelligence we were provided was inaccurate at best…perhaps purposely funneled, at worst. Most Americans wanted to leave Saigon as did many South Vietnamese before the fall. Many had indeed left prior to the fall. The North had already started to push southward and the fall was imminent. Evacuations during the end of March and throughout April had increased. Flights from Tan Son Nhat International Airport were over-booked. The Defense Attaché’s Office started to fly undocumented Vietnamese to Clark Air Force Base in the Philippines. On April 3, 1975, President Gerald Ford announced “Operation Babylift”. Over 3,000 Vietnamese orphans would evacuate from the country. The first C-5A involved in the operation crashed and killed 154 passengers – almost half of the adults and children who were aboard. A mechanical problem was the official reason given for the crash. The morale of the American staff was certainly being reduced, but in the last minute haste, this tragedy just added to the devastation of war which was about to end. At least 2,700 children were flown to the United States and approximately 1,300 were flown to Canada, Europe and Australia. The Babylift was controversial, because not all children on the flights were bona fide orphans. Documentation was often inaccurate. In several cases, birth parents or other relatives who later immigrated to the United States from Vietnam requested custody of children already placed. The hasty evacuation in the final days of the war also led to debate over whether the rescue operations were in the best interest of the children. Interesting, this last slap in the face to the Vietnamese on the very day the war ended. Stolen children under the guise of humanitarian concern, but it is fitting with the Western view that they have more to offer than the Vietnamese. I suppose a part of this tragic stealing of children had to do with the Americans believing their own propaganda. The old video documentaries that show American women talking Vietnamese mothers into allowing the children to be taken to America are fascinating since some of these very Americans were charged with baby selling in Danang many years after the war. It is not very popular to call Operation Babylift a war crime, but it was. The President of South Vietnam, Nguyen Van Thieu, resigned on April 21st, 1975. His departing words were particularly hard on the Americans, first for forcing South Vietnam to accede to the Paris Peace Accords, second for failing to support South Vietnam afterwards, and all the while asking South Vietnam “to do an impossible thing, like filling up the oceans with stones.” President Thieu went on to say “The United States did not keep its promise to help us fight for freedom and it was in the same fight that the United States lost 50,000 of its young men.” The presidency was turned over to Vice President Tran Van Huong. Thieu and his family fled Vietnam on April 25th for Taiwan. He later settled in England, and finally in Massachusetts where he died in 2001. On April 27th, the first NVA attack on Saigon had begun when three rockets hit the capital. (The evacuation of Saigon also had to compete for resources with the imminent evacuation of Phnom Penh, the capital of Cambodia, which fell on April 17th). This was the first such attack on Saigon in almost 4 years. Before daybreak on April 29th, Tan Son Nhat airport was hit by rockets and heavy artillery. As a result, the US defense attaché in Saigon advised Ambassador Martin that the runways were unfit for use and that the emergency evacuation of Saigon must be completed by helicopter. The original plan to evacuate Americans by fixed wing aircraft was further stymied when a South Vietnamese pilot decided to defect and jettisoned his ordinance along the only remaining runway that was intact. The helicopter evacuation from Saigon was about to begin. After the Ambassador made a personal assessment of the airport, he sent his superior, Henry Kissinger, his report and his request to evacuate immediately. Roughly 3 minutes later, Secretary Kissinger granted permission. The American radio station in Saigon began to play “White Christmas” on a regular basis which was the signal for American personnel to immediately move to their predesignated evacuation points. The first CH-53 landed at the DAO (Defense Attaché’s Office) compound in the afternoon, and by the evening, 395 Americans and more than 4,000 Vietnamese had been evacuated. By 23:00 the U.S. Marines who were providing security were withdrawing and arranging the demolition of the DAO office, American equipment, files, and cash. 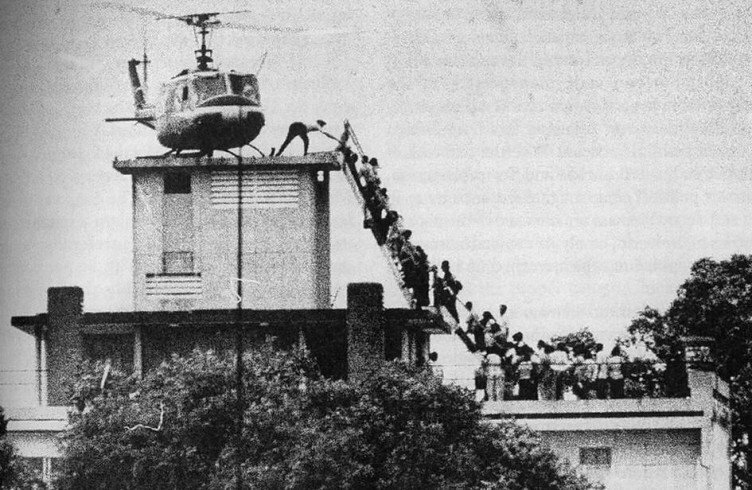 The original evacuation plans had not called for a large-scale helicopter operation at the US Embassy in Saigon. Helicopters and buses were to shuttle people from the Embassy to the DAO Compound. However, in the course of the evacuation it turned out that a few thousand people were stranded at the embassy, including many Vietnamese. 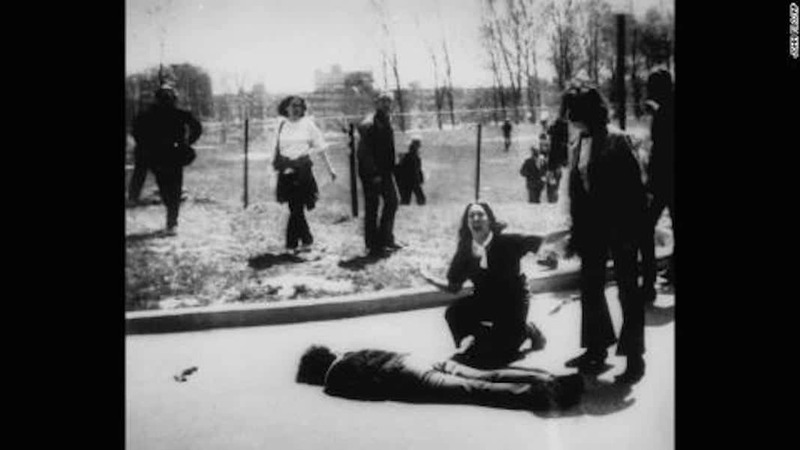 Additional Vietnamese civilians gathered outside the Embassy and scaled the walls, hoping to claim refugee status. Thunderstorms increased the difficulty of helicopter operations. At 03:45 on the morning of April 30th, the refugee evacuation was halted. Ambassador Martin had been ordering that South Vietnamese be flown out with Americans up to that point. Kissinger and Ford quickly ordered Martin to evacuate only Americans from that point forward. Reluctantly, Martin announced that only Americans were to be flown out, due to worries that the North Vietnamese would soon take the city and the Ford administration’s desire to announce the completion of the American evacuation. Ambassador Martin was ordered by President Ford to board the evacuation helicopter. The call sign of that helicopter was “Lady Ace 09″, and the pilot carried direct orders from President Ford for Ambassador Martin to be on board. The pilot, Gerry Berry, had the orders written in grease-pencil on his kneepads. Ambassador Martin’s wife, Dorothy, had already been evacuated by previous flights, and left behind her personal suitcase so a South Vietnamese woman might be able to squeeze on board with her. “Lady Ace 09″ from HMM-165 and piloted by Berry, took off around 05:00 – had Martin refused to leave, the Marines had a reserve order to arrest him and carry him away to ensure his safety. The embassy evacuation had flown out 978 Americans and about 1,100 Vietnamese. The Marines who had been securing the Embassy followed at dawn, with the last aircraft leaving at 07:53. A few hundred Vietnamese were left behind in the embassy compound, with an additional crowd gathered outside the walls. Ambassador Martin was flown out to the USS Blue Ridge, where he pleaded for helicopters to return to the Embassy compound to pick up the few hundred remaining hopefuls waiting to be evacuated. Although his pleas were overruled by President Ford, Martin was able to convince the Seventh Fleet to remain on station for several days so any locals who could make their way to sea via boat or aircraft may be rescued by the waiting Americans. 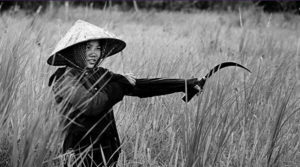 It is estimated that between 2,495,000 and 5,020,000 human lives resulted in death between the years 1959 and 1975 in Vietnam. These numbers include those who died as a result of combat, disease, famine and yes, murder. Of these, over 58,000 Americans were killed. 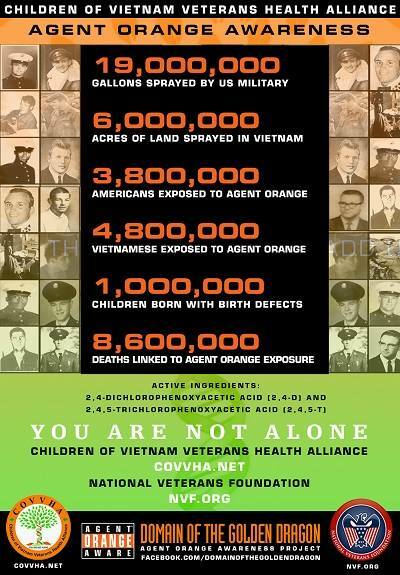 What are not included are the victims of Agent Orange, PTSD, suicide, etc. How about the offspring of those who were exposed and continue to suffer and die? From both sides. As a former US Marine, it is difficult for me to recount the War, think of fellow Marines who perished, consider the troops – all of us on both sides who were killed, maimed and continue to carry the guilt associated with such a gruesome time in our lives. 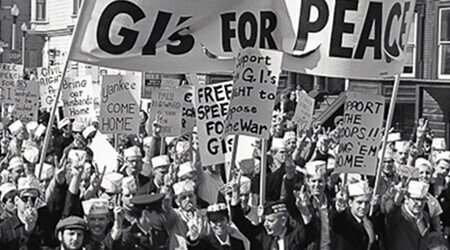 As a person who remains active in the fight against the evils of Agent Orange and against those responsible for creating it, selling it, using it and lying about its known affects on mankind as well as the environment, the struggle continues. As a person who remains active in the fight against PTSD and the consequences so many of us has had to endure over the years, the struggle will, I am afraid, continue well past my departure from this world. Collateral damage, some would argue – none should be subjected to the lie from our government. None of us who risked our lives should have to look at the back of a Department of Veterans Affairs’ employee after our claims are rejected, only to die waiting for a resolution. “We shouldn’t be arrogant about our power and the use of our power. We should be very cautious. We should be sure that we understand what we’re getting into when we dabble in the affairs of other nations. I am afraid our arrogance continues and innocent people die each and every day. People from America and people from other countries as well. As recent as yesterday, the US Consulate in Pakistan was attacked, killing two security guards and at least six others. Collateral damage? Each and every day, scores are killed in Iraq. Let us not forget Afghanistan. All, perhaps, as a result of our arrogance. All, perhaps, as a result of the US not being sure that it understands what they are getting us involved in when we dabble in the affairs of other nations. All, in my opinion, as a result of the lust the US has as a nation, for war. Marine Combat Veteran, served with 1st and 3rd FORCERECON.RVN 1970-1971.Currently living, writing and working in Da Nang, Vietnam.Agent Orange and Unexploded Ordinance activist and researcher.